Quick Notes: Gemstone treatments is an interesting subjects and also very important. Few gem lovers are aware that almost every natural gem that finds its way to the markets, is treated in some way or the other. Emeralds are oiled, rubies and sapphires are heated and many opaque gemstones are dyed to change their color. Taking more specifically about ruby and sapphire, heated gems are not considered to have a lower value. The price of these gems has never dropped and is generally beyond the reach of many budgets. Gem miners and cutters have in recent years, found a new type of heat treatment that can be applied to both rubies and sapphires. Known as the fissure filling process, this treatment delivers absolutely stunning rubies and sapphires - at an amazingly affordable price. Just keep in mind that fissure filled ruby and sapphire are natural gems just like their heated counterparts. So is there anything that needs to be understood regarding fissure filled rubies, the answer is yes. For their stunning beauty and budget friendly price, these gems ask for a bit of care and attention. These gems need to be kept away from strong chemicals and detergents and heat sources. The advantage of fissure filled rubies is that, they are priced to be set in both gold or sterling silver jewelry. In this newsletter, we bring you an amazing offer. A silver ruby ring with a fissure filled gemstone, this ring features a large 9-10mm heart shaped ruby gemstone. 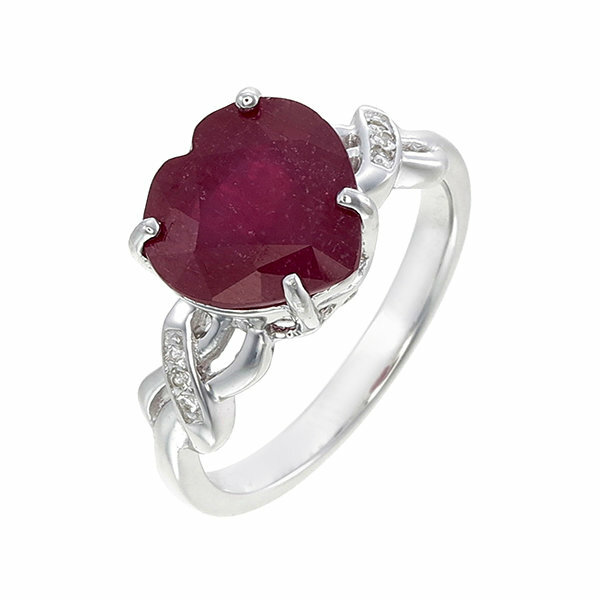 High on that luxury look and style, you would be proud to wear this natural ruby gemstone ring. With such a budget price, you could buy one as a gift for someone you truly love or pamper yourself by wearing this spectacular jewel. A gorgeous ruby silver ring, a large 9-10mm heart shaped natural ruby gemstone. This is a fissure filled ruby with good color. The ring appears much more extravagant than its price tag would suggest. The side shank of the ring is encrusted with natural white topaz gemstones. The silver ring is plated with rhodium and you can request for an un-plated ring. We offer this ruby heart ring in sizes ranging from 5 to 10 - requests for half sizes can be accommodated. The gemstone is a fissure filled natural ruby. The amazing price tag of just $75 + shipping makes it a great buy. You can access complete details for this ring and place an order by, accessing the complete report ... here. A gorgeous 14k gold ring, crafted in yellow, white or pink gold with your choice of ring size. The ring has a gold weight of around 15 grams and the band is solid with no scooping inside. This makes the RG210 diamond gold ring comfortable to wear and sturdy. The stone is an authentic natural round diamond of size 4mm, the approximate weight of the diamond is 0.22 carats. The ring has fine workmanship and a very attractive price tag. You could wear it everyday or choose it for a diamond wedding ring. Available for a short time at a deeply discounted price, you just pay $990 instead of the regular price of $1,500. Review the whole report and place orders ... here. One of the most meaningful jewels in history, a four century tradition. 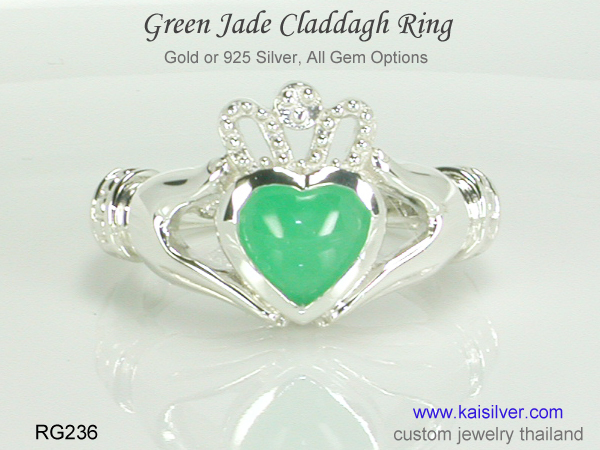 The Kaisilver claddagh ring is widely acclaimed as the world's best rendition of the Irish jewel. Each ring is custom made by some of Thailand's finest artisans. Gem exports closely inspect each gem before it is custom cut to perfection. The ring is available in all sizes, with or without rhodium plating. A special limited time offer for all Kaisilver subscribers, get this silver claddagh ring for just $100, that is half the regular price of $200. Gem options for this offer can include jade, white topaz, blue topaz, amethyst, citrine, red garnet, black agate or fissure filled ruby. Learn more about this historic ring and get complete details ... here. The health benefits of whole grains and brown rice are well understood today but, a few health conscious people are still a bit confused about cooking brown rice, here are some tips. 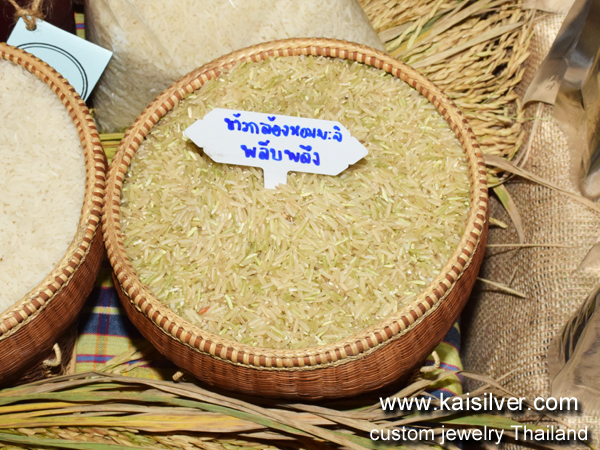 Brown rice retains its bran layer and is therefore a bit stiff. Soak brown rice in clean water for around 20 to 30 minutes, use as much water as you would generally use to cook rice. The cooking process can then proceed in the conventional way. If you prefer to mix brown and white (polished) rice, leave the white rice aside and do not soak it. You can then, mix both during the cooking process. It takes some time to get the exact soaking and cooking time right, so beginners can experiment by cooking smaller portions of brown rice in the beginning. Kaisilver: We do hope that you have found the contents of this newsletter to be interesting and informative. As the worlds leading online custom made jewelry provider, we can custom make your jewelry based on your designs or ours. Our gem procurement extends to most gem mining centers across the globe, we also have preferential access to more than 200 million carats of cut and polished gemstones. 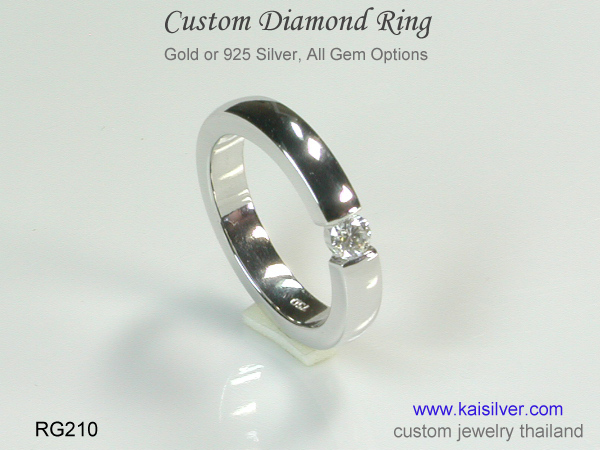 Do contact our experts at sales@kaisilver.com for any questions or requirements that you might have related to gemstones and jewelry. They will be glad to help you without pushing you into make a hurried purchase. Buyer Review: Hello again, I received my ring today; the timing was perfect -- my girlfriend's birthday is tomorrow. I could not be happier with the ring, it is even more beautiful than I had hoped. The workmanship is exquisite,and the gems are truly amazing. I cannot wait to see the joy on my girlfriend's face when I give it to her. Including the birthday card and pouch was generous and very thoughtful. Thank you for your kindness. I am delighted, and I intend to tell everyone who will listen about Kaisilver. :) I would be honored if you use my comments on your website. Thank you so very much.Peace, Paul H. Jr.